13 | December | 2008 | Fading Ad Blog HAS MOVED! 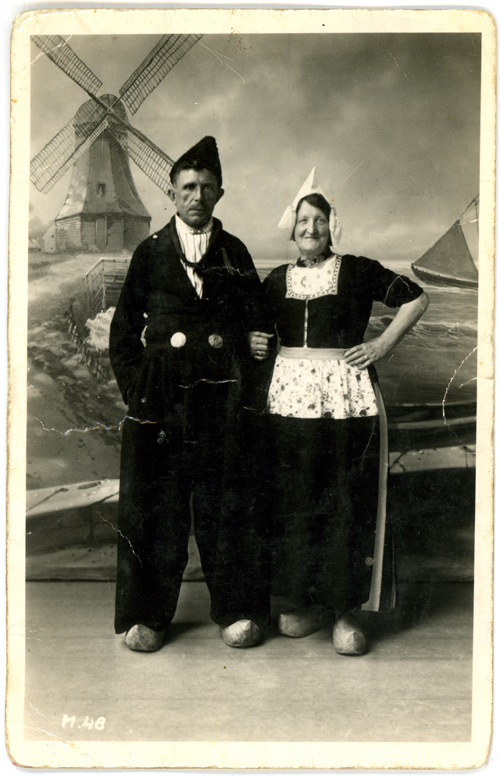 Above is a picture of my great-grandmother with her second husband in costumes of the Volendam region of North Holland. I’m guessing this was taken after the war (WWII) circa 1948. Below is myself in typical Volendamse klederdracht (translation) or traditional clothing. I found a great website that gives audio examples of all of the dialects spoken in the Netherlands. To my ear the differences are vast but to the unfamiliar ear, it may all sound like Dutch to you. 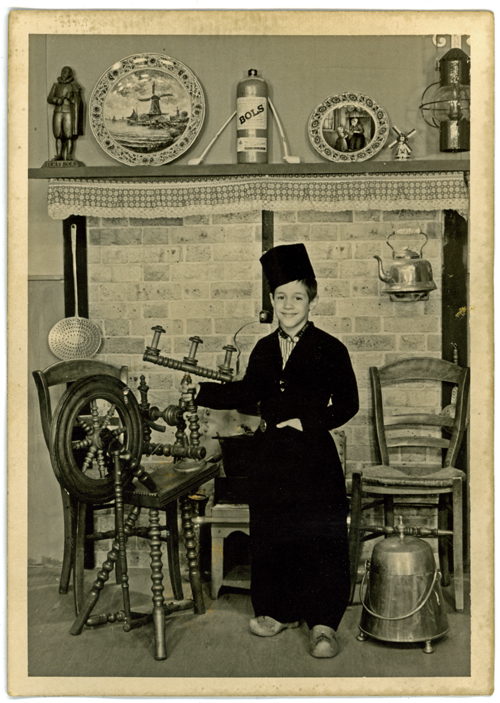 This posting is the first of a number of postings from the photos my mom dragged out of her closet. Out of the closet and into the scanner!